A version of this article was published in The Daily Record on May 13, 2012. 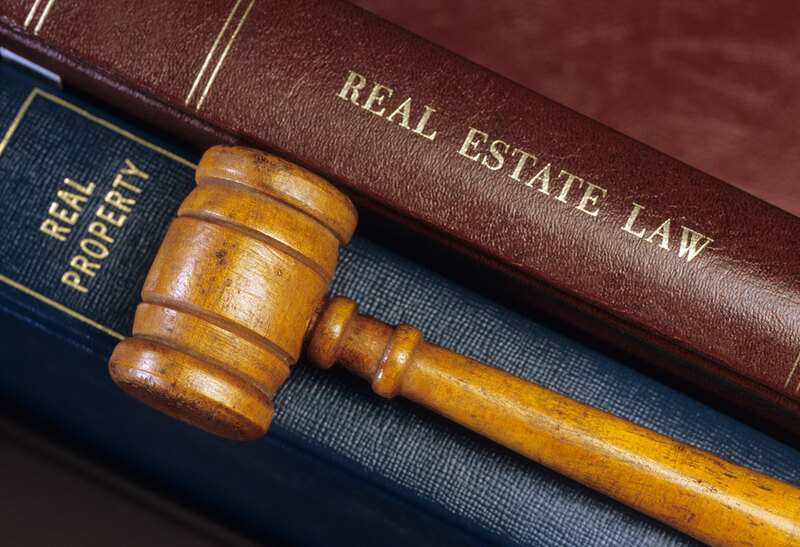 In two recent cases, the Maryland appellate courts denied requests to declare that easements exist, but in a third the Court of Special Appeals found an easement by necessity. In Clickner v. Magothy River Association, Inc., 424 Md. 253, 35 A.3d 464 (2012), the Court of Appeals held that the public did not have an easement to use a beach on an island in the Magothy River. The Court of Special Appeals rejected the claim in Bacon v. Arey, No. 2339, September Term, 2010 (Md. Ct. Sp. App. March 29, 2012), that a landowner had acquired a private easement over an old farm road next to his property. However, in Purnell v. Beard & Bone, LLC, No. 1861, September Term, 2009 (Md. Ct. Sp. App. March 1, 2012), a landowner obtained the right to pass through the property of two neighbors to get to a public road even though that right of way had not been used for more than 90 years. In Clickner, the Court of Appeals held that although the public can acquire prescriptive rights over a privately owned beach adjoining an inland waterway, under the facts of the case the public did not acquire such rights. On July 10, 2008, seven plaintiffs, on behalf of themselves and the general public, filed a complaint to establish a public right to use Dobbins Island, which is a seven-acre island in the Magothy River. For many years people used Dobbins Island for picnicking, mooring, sunbathing, and swimming, all without permission. There were not any “no trespassing signs” there before the Clickners bought Dobbins Island in 2003. The Clickners posted signs, and they also constructed a 1,200 foot fence along the shoreline to keep out trespassers. The trial court held that the public had not obtained an easement through implied dedication, custom, or public trust, but that the public had met the requirements necessary to establish a prescriptive easement. Therefore, the judge ordered the Clickners to remove the fence because it interfered with the public easement. The Clickners appealed. The Court of Appeals issued a writ of certiorari on its own initiative and reversed the order of the Circuit Court for Anne Arundel County. Key to the trial court’s holding that the public had a prescriptive easement was the court’s application of the general presumption of adverse use after 20 years. However, the Court of Appeals applied the “woodlands exception,” which is that “when an easement is claimed on land that is unimproved or in a general state of nature, there is a legal presumption that the use is by permission of the owner.” There cannot be a prescriptive easement if the owner has granted permission to use the property. The court determined that the beach on Dobbins Island was “in a general state of nature” and thus subject to the woodlands exception. The plaintiffs were unable to show that the use by the public was not permissive. Therefore, the Court of Appeals reversed the order of the trial court and denied the public any right to use the beach on Dobbins Island. Gregg Daniel Bacon, the appellant in Bacon, owned two acres in Sandy Spring and asked the Circuit Court for Montgomery County to declare that he had an easement over an adjacent farm road to reach a public road. He claimed the right to either an express easement or an easement by implication. The trial court declined to find an easement on either ground, and the Court of Special Appeals affirmed. The appeals court held that Bacon did not have an express easement because there was no language in the deed to him that created an easement. The fact that other deeds between the parties to the litigation referred to the farm road was not sufficient to create an express easement for Bacon’s property. Because Bacon did not allege that all of the 16 properties in dispute had a common owner at one time, a requirement to establish an easement by necessity was lacking. Therefore, the Court of Special Appeals held that the trial court properly dismissed Bacon’s action. Bacon’s amended complaints also contained allegations of tort and constitutional violations. The trial court dismissed those claims because, among other reasons, they were barred by the applicable statute of limitations. The Court of Special Appeals held that Bacon was on constructive notice of everything in the land records that affected his property as of Oct. 1, 2002, the date of his deed. It also found that no exceptions applied, such as the discovery rule, fraudulent concealment, or the continuing harm theory. Therefore, the statute of limitations for the tort and constitutional claims expired on Oct. 1, 2005, and the statute of limitations for the slander of title claim expired on Oct. 1, 2003. Because Bacon’s original complaint was not filed until June 9, 2006, it was not timely. In Purnell, the Court of Special Appeals held that Beard & Bone LLC, the owner of 51 acres of landlocked land in Worcester County, had a 12-foot-wide easement by necessity – six feet of width through the land of one neighbor (the Purnells) and six feet of width through the land of another (Cantwell). The appellate panel, which affirmed the order of the Circuit Court for Worcester County, found that this easement had been created in 1918 and that, although it had never been used, it was still in place. At one time, all three parcels had been owned by Orlando and George A. Harrison. On July 19, 1918 they divided the property by transferring one parcel that fronted on Evans Road to the predecessor of Cantwell and another parcel to the predecessor of the Purnells. The Harrisons retained the third parcel. Although the Purnell and Cantwell deeds caused that property to be landlocked, neither deed contained an express reservation of an easement to Evans Road. Over the years the third parcel was used as a nursery and then for timber and hunting. Access to it was obtained through a different property until the owner of that property withdrew permission. Beard & Bone bought the landlocked parcel at auction in 2007. The seller had advised all potential purchasers that the property was landlocked. Shortly thereafter, Beard & Bone filed a complaint to quiet title and for declaratory judgment in the Circuit Court for Worcester County. The trial court held in favor of Beard & Bone, establishing a 12-foot-wide easement that extended to Evans Road, with half the easement through the Purnell property and half through the Cantwell property. The Purnells appealed, but the Court of Special Appeals affirmed. One of the requirements for an easement by necessity is that the easement must be necessary at the time the property is divided. The Purnells argued that because their deed was recorded before the Cantwell deed, when the Purnell deed was recorded the Harrisons owned both the Beard & Bone property and the Cantwell property. Therefore, the Harrisons had access to Evans Road through their own property, and there was no necessity to have an easement through the Purnell property. The circuit court rejected this argument, reasoning that the two 1918 conveyances were essentially simultaneous, and the fact that the Purnell deed was recorded first was merely happenstance. The Court of Special Appeals agreed. There are general rules that apply to the creation of express and implied easements in Maryland. However, as these three cases demonstrate, there are also exceptions to these rules, and the decision about whether a particular easement exists will often be factually based.